John Goldwyn is producing the picture with Working Title. Goldwyn’s grandfather Samuel Goldwyn produced the movie, directed by Joseph L Mankiewicz with Frank Sinatra starring as Nathan Detroit, and Marlon Brando as Sky Masterson. The movie was based on the 1950 Broadway musical, which won the Tony for Best Musical that year. The musical was based on Damon Runyon’s stories “The Idyll of Miss Sarah Browne” and “Blood Pressure,” published in the 1930s. Grandage directed a 2005 stage version of “Guys and Dolls” in London, starring Ewan McGregor as Sky Masterson and Douglas Hodge as Nathan Detroit. 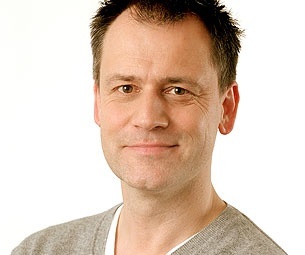 He is currently Artistic Director of the Michael Grandage Company. He has also recently directed “Genius,” the adaptation of the A. Scott Berg biography about legendary editor Max Perkins, starring Colin Firth, Nicole Kidman, Jude Law, Guy Pearce and Laura Linney. Guys & Dolls is currently playing at the Phoenix Theatre in London's West End until 7th January and is also on a UK tour until the end of July.